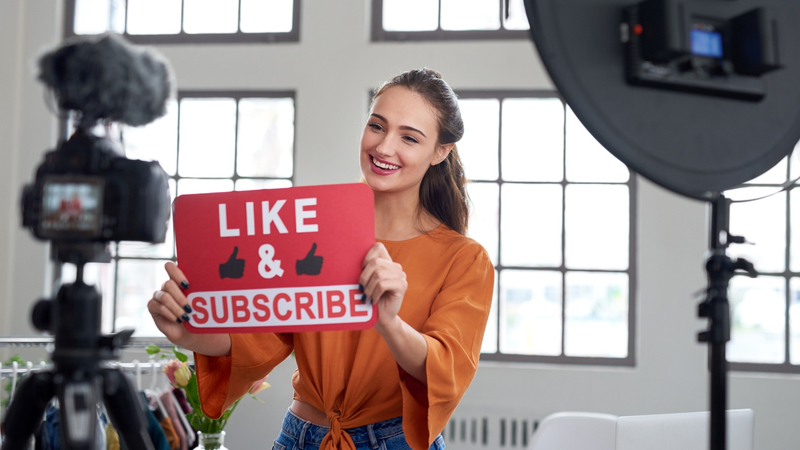 As technology advances, it’s more important than ever for brands to be smarter in their influencer marketing strategies to harness the reach and exposure of digital influencers. Influencer marketing became the go to marketing trend of 2018 with brands allocating budgets, regulations and enhanced reporting to social media platforms. By 2020, the influencer marketing industry global ad spend is projected to reach somewhere between $5-10 billion according to eMarketer , making it a critical component to all marketing strategies. As technology continually improves, consumers no longer request creative formats on social media; they expect visually exciting, engaging and interactive content in their newsfeeds. Influencers are leading the trend with content evolving to be creative, innovative and high-quality. This year, we will see more brands collaborate with influencers and use creative forms of motion content such as cinemagraphs, boomerangs, stop motion, Stories, GIFS, AR filters and motion to stand out against competitors. The appropriate disclosure of sponsored content and new regulations will play a large part in the professionalisation of the influencer marketing industry. 2018 was a landmark year for Privacy legislators which shifted the landscape for marketers forever. Disclosure regulations will guarantee transparency to users if content has originated from collaboration between a brand and influencer. Marketers and influencers that don’t disclose put themselves at risk of scrutiny and consumer backlash, both of which are increasing. Fake accounts that artificially enhance their followers reach and engagement rates (accounts that pay for followers) are one of the greatest threats to a brand’s influencer marketing strategy, budget and success. In 2019, brands will have better access to resources which allow them to more easily detect influencers with invaluable audiences and bot followers. This will help prevent the waste of valuable budgets on collaborations with fraudulent accounts. Podcasting is one of the fastest growing trends in digital media and influencers are incorporating it into their social media strategies, to share more with their audiences in the hope to appear open and trustworthy. Brands looking to boost thought leadership and reach new audiences should follow this trend closely as podcasting with well-known, experienced influencers in your field of expertise could become a valuable content marketing strategy moving forward. Influencer marketing is arguably the most influential in the gaming industry. Brands are using professional athletes to promote sports games, or YouTubers to live stream to millions of followers when playing a game online. In 2019, marketers will continue to tap into the full potential of e-sports and the live-streaming video platform. Platforms such as Twitch and Discord are continuing to grow at a rapid speed and it is expected they will skyrocket in 2019 with influencer marketing strategists jumping on the gaming influencer bandwagon. This year, brands must be smarter in their influencer marketing strategies to harness the reach and exposure of digital influencers, to stand out amongst the crowd (and competitors) and fulfil the consumer demands to receive creative content.